July 20, 2018, 1:26 p.m. 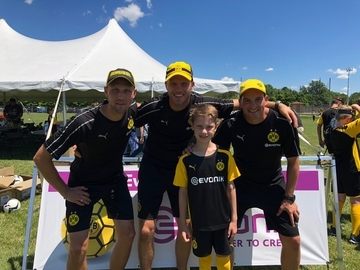 Thank you to Evonik & BVB for coming to Lafayette, IN and creating a great soccer/football camp for the kids! It was a great experience and wonderful opportunity for them. The organizers & volunteers did an excellent job and made the camp a success!